The gallery houses portraits of historically important and famous British people, selected on the basis of the significance of the sitter, not that of the artist. The collection includes photographs and caricatures as well as paintings, drawings and sculpture. 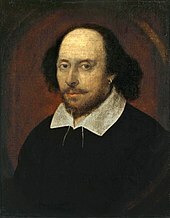 One of its best-known images is the Chandos portrait, the most famous portrait of William Shakespeare although there is some uncertainty about whether the painting actually is of the playwright. Not all of the portraits are exceptional artistically, although there are self-portraits by William Hogarth, Sir Joshua Reynolds and other British artists of note. Some, such as the group portrait of the participants in the Somerset House Conference of 1604, are important historical documents in their own right. Often, the curiosity value is greater than the artistic worth of a work, as in the case of the anamorphic portrait of Edward VI by William Scrots, Patrick Branwell Brontë's painting of his sisters Charlotte, Emily and Anne, or a sculpture of Queen Victoria and Prince Albert in medieval costume. Portraits of living figures were allowed from 1969. In addition to its permanent galleries of historical portraits, the National Portrait Gallery exhibits a rapidly changing selection of contemporary work, stages exhibitions of portrait art by individual artists and hosts the annual BP Portrait Prize competition. 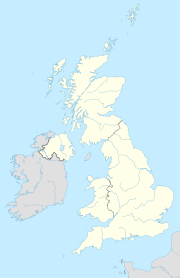 The locations of the NPG and its regional outposts, past and present. The three people largely responsible for the founding of the National Portrait Gallery are commemorated with busts over the main entrance. At centre is Philip Henry Stanhope, 4th Earl Stanhope, with his supporters on either side, Thomas Babington Macaulay, 1st Baron Macaulay (to Stanhope's left) and Thomas Carlyle (to Stanhope's right). It was Stanhope who, in 1846 as a Member of Parliament (MP), first proposed the idea of a National Portrait Gallery. It was not until his third attempt, in 1856, this time from the House of Lords, that the proposal was accepted. With Queen Victoria's approval, the House of Commons set aside a sum of £2000 to establish the gallery. As well as Stanhope and Macaulay, the founder Trustees included Benjamin Disraeli and Lord Ellesmere. It was the latter who donated the Chandos portrait to the nation as the gallery's first portrait. Carlyle became a trustee after the death of Ellesmere in 1857. For the first 40 years, the gallery was housed in various locations in London. The first 13 years were spent at 29 Great George Street, Westminster. There, the collection increased in size from 57 to 208 items, and the number of visitors from 5,300 to 34,500. In 1869, the collection moved to Exhibition Road and buildings managed by the Royal Horticultural Society. Following a fire in those buildings, the collection was moved in 1885, this time to the Bethnal Green Museum. This location was ultimately unsuitable due to its distance from the West End, condensation and lack of waterproofing. Following calls for a new location to be found, the government accepted an offer of funds from the philanthropist William Henry Alexander. Alexander donated £60,000 followed by another £20,000, and also chose the architect, Ewan Christian. The government provided the new site, St Martin's Place, adjacent to the National Gallery, and £16,000. The buildings, faced in Portland stone, were constructed by Shillitoe & Son. Both the architect, Ewan Christian, and the gallery's first director, George Scharf, died shortly before the new building was completed. The gallery opened at its new location on 4 April 1896. The site has since been expanded twice. The first extension, in 1933, was funded by Lord Duveen, and resulted in the wing by architect Sir Richard Allison on a site previously occupied by St George's Barracks running along Orange Street. In February 1909, a murder–suicide took place in a gallery known as the Arctic Room. In an apparently planned attack, John Tempest Dawson, aged 70, shot his 58 year–old wife, Nannie Caskie; Dawson shot her from behind with a revolver, then shot himself in the mouth, dying instantly. His wife died in hospital several hours later. Both were American nationals who had lived in Hove for around 10 years. Evidence at the inquest suggested that Dawson, a wealthy and well–travelled man, was suffering from a Persecutory delusion. The incident came to public attention in 2010 when the Gallery's archive was put on-line as this included a personal account of the event by James Donald Milner, then the Assistant Director of the Gallery. The collections of the National Portrait Gallery were stored at Mentmore Towers in Buckinghamshire during the Second World War, along with pieces from the Royal Collection and paintings from Speaker's House in the Palace of Westminster. The second extension was funded by Sir Christopher Ondaatje and a £12m Heritage Lottery Fund grant, and was designed by London-based architects Edward Jones and Jeremy Dixon. The Ondaatje Wing opened in 2000 and occupies a narrow space of land between the two 19th-century buildings of the National Gallery and the National Portrait Gallery, and is notable for its immense, two-storey escalator that takes visitors to the earliest part of the collection, the Tudor portraits. In January 2008, the Gallery received its largest single donation to date, a £5m gift from Aston Villa Chairman and U.S. billionaire Randy Lerner. In January 2012, Catherine, Duchess of Cambridge announced the National Portrait Gallery as one of her official patronages. Her portrait was unveiled in January 2013. Reports in February 2014 revealed that the gallery holds nearly 20 portraits of Harriet Martineau and her brother James Martineau, whose great-nephew Francis Martineau Lupton was the Duchess's great-great-grandfather. Bodelwyddan Castle's partnership with the National Portrait Gallery came to an end in 2017 after its funding was cut by Denbighshire County Council. In addition to the busts of the three founders of the gallery over the entrance, the exterior of two of the original 1896 buildings are decorated with stone block busts of eminent portrait artists, biographical writers and historians. These busts, sculpted by Frederick R. Thomas, depict James Granger, William Faithorne, Edmund Lodge, Thomas Fuller, The Earl of Clarendon, Horace Walpole, Hans Holbein the Younger, Sir Anthony van Dyck, Sir Peter Lely, Sir Godfrey Kneller, Louis François Roubiliac, William Hogarth, Sir Joshua Reynolds, Sir Thomas Lawrence and Sir Francis Chantrey. The National Portrait Gallery is an executive non-departmental public body of the UK Government, sponsored by the Department for Digital, Culture, Media & Sport. The National Portrait Gallery's total income in 2007–2008 amounted to £16,610,000, the majority of which came from government grant-in-aid (£7,038,000) and donations (£4,117,000). As of 31 March 2008, its net assets amounted to £69,251,000. In 2008, the NPG had 218 full-time equivalent employees. It is an exempt charity under English law. 1895–1909 Sir Lionel Cust KCVO FSA – previously at the Department of Prints and Drawings at the British Museum, and from 1901 to 1927 filled the role of Surveyor of the King's Pictures. On 14 July 2009, the National Portrait Gallery sent a demand letter alleging breach of copyright against an editor-user of Wikipedia, who downloaded thousands of high-resolution reproductions of public domain paintings from the NPG website, and placed them on Wikipedia's sister media repository site, Wikimedia Commons. The Gallery's position was that it held copyright in the digital images uploaded to Wikimedia Commons, and that it had made a significant financial investment in creating these digital reproductions. Whereas single-file low resolution images were already available on its website, the images added to Wikimedia Commons were re-integrated from separate files after the user "found a way to get around their software and download high-resolution images without permission." In 2012, the Gallery licensed 53,000 low-resolution images under a Creative Commons licence, making them available free of charge for non–commercial use. A further 87,000 high-resolution images are available for academic use under the Gallery's own licence that invites donations in return; previously, the Gallery charged for high-resolution images. As of 2012[update], 100,000 images, around a third of the Gallery's collection, had been digitised. ^ a b Top 100 Art Museum Attendance, The Art Newspaper, 2015. Retrieved on 10 October 2015. ^ "VISITS MADE IN 2016 TO VISITOR ATTRACTIONS IN MEMBERSHIP WITH ALVA". Association of Leading Visitor Attractions. Retrieved 13 February 2018. ^ Pes, Javier (6 January 2015). "National Portrait Gallery lures Met curator back to London". The Art Newspaper. Retrieved 6 January 2015. ^ "National Portrait Gallery: About". ARTINFO. 2008. Archived from the original on 4 December 2008. Retrieved 30 July 2008. ^ "Every great country must have its portrait gallery". Canada.com. 12 October 2006. Archived from the original on 25 August 2012. Retrieved 10 December 2011. ^ Higgins, Charlotte (2 March 2006). "The only true painting of Shakespeare – probably". The Guardian. London. Retrieved 19 May 2010. ^ a b c d History of the National Portrait Gallery, accessed 26 May 2008. ^ Poole, Andrea Geddes (2010). "Stewards of the Nation's Art: Contested Cultural Authority, 1890-1939". University of Toronto Press. p. 207. ISBN 978-0-8020-9960-0. ^ "Murder And Suicide In The National Portrait Gallery". The Times (38892). 25 February 1909. p. 12. ^ "Inquests. The Shooting Affair At The National Portrait Gallery". The Times (38895). 1 March 1909. p. 3. ^ Adams, Stephen (3 February 2010). "Gruesome murder-suicide revealed in National Portrait Gallery archive". The Daily Telegraph. Retrieved 21 May 2013. ^ Fiachra Gibbons, Arts correspondent (5 May 2000). "The Queen shares a joke with Lady Thatcher". The Guardian. London. Retrieved 10 December 2011. ^ "Duchess of Cambridge announces charity patronages". BBC News. 5 January 2012. ^ Furness, Hannah (11 February 2014). "Duchess of Cambridge visits National Portrait Gallery, home of little-known Middleton family paintings". UK Daily Telegraph - pages 1 and 3. Retrieved 27 January 2015. ^ "Unprecedented expansion for the National Portrait Gallery". Retrieved 15 June 2017. ^ "Inspiring People: Transforming our National Portrait Gallery". Retrieved 15 June 2017. ^ "National Portrait Gallery Corporate Plan 2016-19" (PDF). Retrieved 15 June 2017. ^ "National Portrait Gallery". UK Government. Retrieved 5 September 2018. ^ a b c National Portrait Gallery Annual Report and Accounts 2007–2008 (PDF). National Audit Office. ISBN 978-0-10-295746-4. Retrieved 14 July 2009. ^ Charities Act 1993, Schedule 2. ^ "Obituary of his father, the chemist Henry Wilson Hake". Rsc.org. 1 January 1930. Retrieved 10 December 2011. ^ a b "Gallery in Wikipedia legal threat". BBC News. British Broadcasting Corporation. 15 July 2009. Retrieved 27 July 2009. ^ Orlowski, Andrew (13 July 2009). "National Portrait Gallery bitchslaps Wikipedia". The Register. Retrieved 27 July 2009. ^ a b Atkinson, Rebecca (22 August 2012). "NPG changes image licensing to allow free downloads". Museums Journal. Retrieved 21 May 2013. Martin-Robinson, John (2014). Requisitioned: The British Country House in the Second World War. London: Arum. ISBN 978-1-78131-095-3. Wikimedia Commons has media related to National Portrait Gallery, London.